With Indian Prime Minister Narendra Modi, India has in recent years enhanced ties with the United States and other important Middle Eastern countries like Israel, the UAE and Saudi Arabia—all of which are countries that perceive Iran as a strategic threat in the region. This has been no less of an achievement for India. The fact that New Delhi has managed to enhance its ties with Iran while keeping Iran’s strategic rivals close is a diplomatic and foreign policy success. The US decision now to pull out of the Iranian nuclear deal however puts New Delhi’s foreign policy establishment in hot waters. On May 8 US President Donald Trump announced his latest move, stating that the United States will unilaterally withdraw from the Iranian nuclear deal and reimpose sanctions on Iran. Trump signed an executive order reinstating sanctions on the “purchase of US treasury notes by Iran”, “Tehran’s trade in gold and other precious metals,” on a range of materials used in industrial processes, “Iran rial-denominated transactions”, “activities relating to Iran’s issuance of sovereign debt,” and Iran’s automotive sector. Trump’s latest decision became front-page news after a White House release made the rounds, which dubbed the “horrible Iran Deal” as a thing of the past. Since formal diplomatic ties were established between the two in 1950, both India and Iran have consistently sought to maintain independent foreign policies, protecting the bilateral relationship against influence by any other state. Trump’s move will surely now complicate things. US Ambassador to the UN, Nikki Haley asking India “to rethink their relationship with Iran” in many ways is a confirmation of that fear. To make matters worse, the Trump administration in order to make its position clear said that if a country or a company decides to engage with Iran it would stand to lose access to the US financial and banking system. In the past India has been lucky to be granted waivers with regards to Iran from the US. That however was the Obama administration. India now hopes to be shown the same kind of room to wiggle its way out of this mess. 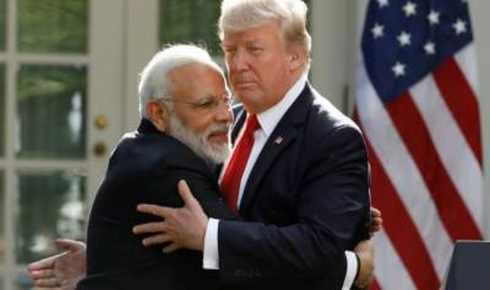 With Trump now leading the US, negotiating for an arrangement that allows India to continue engagement with Iran risks serious blowback from Washington, most likely in the form of angry tweets or tough comments from an unshakeable Trump. The Trump administration’s decision to withdraw from the deal and reimpose sanctions now will in all likelihood have serious and widespread implications for New Delhi. These will no doubt move far beyond just shooting up prices in the oil market and raising India’s import bill. Besides being a key source of crude oil for India, India’s relationship with Iran is also important to the country due to the shared history between them in the shape of common borders until the partition of the subcontinent India. Given that Pakistan does not allow India land access to Afghanistan and Central Asia, for New Delhi Chabahar is a key access route into Afghanistan and Central Asia. India has committed over $500 million to the development of the port, which it also sees as an alternative to the Pakistani port of Gwadar. Historically, India has showcased a willingness to invest in the India-Iran relationship. For India, Iran is a trusted partner. Presently, India has huge stakes in the development of the Farzad-B gas field in Tehran and the South Pars field located between Iran and Qatar. With these sanctions, India’s energy security and the large sums New Delhi has invested in its projects with Iran are in danger. Indian efforts to reconcile with the new regional security architecture have already begun to surface. Several foreign companies and Indian multinational companies reliant on the American financial system are reportedly planning to pull back their Iran-based operations. The State Bank of India informed refiners it would not handle payments for crude in Iran from November. Additionally, in a sign that sanctions are forcing buyers to shun oil purchases from Tehran, Reliance Industries (RIL), owner of the world’s biggest refining complex, also revealed that it plans to halt oil imports from Iran. RIL’s move is expected to take effect in October or November. Moreover, Iran is critical to India’s regional policy. New Delhi seeks to keep the sensitive Shia-Sunni balance intact, despite discouragement from its other allies in the region, like Saudi Arabia and the UAE– both of which are keen that India should scale down its economic engagement with Iran. While the US has been pressing India with diplomatic pressure, Saudi Arabia and the UAE, are trying to influence India with the promise of greater investments. Recently, Abu Dhabi National Oil Company (Adnoc) and Saudi Arabian Oil Company (Saudi Aramco) promised to invest $44 billion, amounting to a 50% stake, in Ratnagiri Refinery and Petrochemicals Ltd (RRPCL). Representatives of Adnoc and Saudi Aramco have also mentioned the possibility of increasing investments in India. Saudi Arabia and the UAE also host about six million overseas Indians and account for an estimated 36% of total remittances to India. On the other hand, it is important to note that remittances from Iran to India are almost negligible. Back in 2016 after economic sanctions were lifted, Iran started building on its three-pronged strategy of broadening defence relations with Russia, investing in infrastructure projects with China and adopting the euro in external economic engagements. China is an important region to factor in for India in the current evolving geopolitical context. Even in the absence of sanctions, Iran was seeking to strengthen its bilateral relationships with other powers because of the hostile nature of its relationship with the US. Reimposed sanctions will only exacerbate the shift towards non-Western powers. China, which is today an influential power in the region and the largest importer of Iranian crude oil, can offer Iran economic assistance under its BRI initiative, posing also at the same time a great danger to India’s interests in Chabahar. According to reports, as China uses its renminbi in transactions with Iran a petrol yuan may emerge, thereby bringing China closer to the goal of internationalization Chinese currency. India must tread carefully in the current volatile geopolitical environment. Increased China-Iran engagement spells trouble for India’s ability to counter growing Chinese influence in the region. With China and Iran closer together not only can Iran survive the US sanctions but also China can be strengthened in its position against powers like the US and India. It is important for India to recognize its ability to counter Chinese influence and have access to Afghanistan and Central Asia to a large degree depends on its relationship with Iran. Given this backdrop, it is important for the country to take a step back and look to assess the situation more holistically. The present situation is a difficult one and in case the US decides to stick with its position India must look to form some sort of alternative agreement with Iran in order to ensure years of measured diplomacy with Iran does not go to waste.